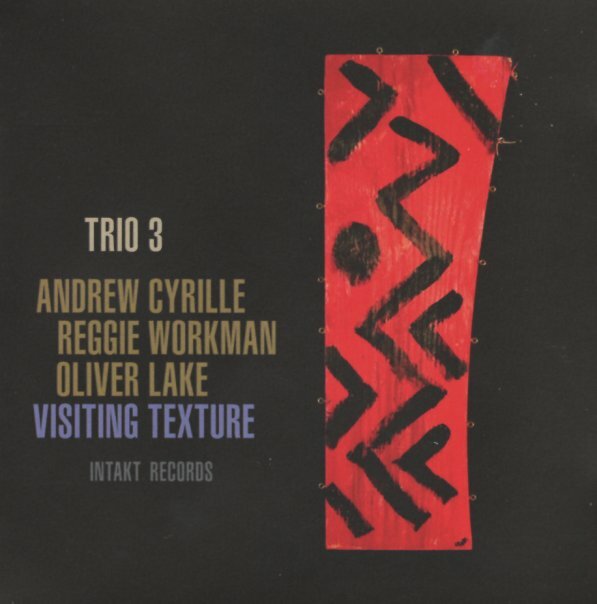 We really love the Trio 3 – as it seems to allow each of the individual members just the right sort of personal space to open up and unfold – reminding us again what important contributions they've made to jazz over the decades! Saxophonist Oliver Lake is especially strong – open, flowing, and free – but always with an inherent sense of swing and soul, even when the drumwork of Andrew Cyrille hits those beautifully loose modes that he does so well. Reggie Workman's bass is recorded with fantastic tone, and really grounds the whole proceedings – and the whole thing's a fantastic balance between freedom, spirit, and soul. Titles include "Bumper", "Bonu", "A Girl Named Rainbow", "Visiting Texture", "7 For Max", and "Epic Man". © 1996-2019, Dusty Groove, Inc.